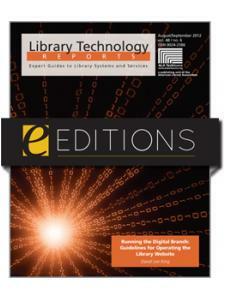 As librarians look for ways to infuse information, digital, and new media literacies into authentic research tasks in the context of content area study and passion-based information-seeking needs, many librarians are turning to the model of embedded librarianship to establish and foster collaborative partnerships for learning. 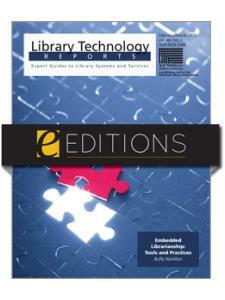 At the root of embedded librarianship is the establishment and growth of relationships that cultivate trust, enabling the librarian to become a true partner in teaching and learning. 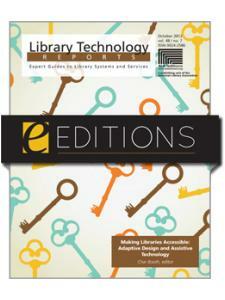 This issue of Library Technology Reports explores how embedded librarians can use free and low-cost teaching technologies to support and enhance participatory learning experiences in school and academic libraries. Case studies explore ways partnerships for learning were forged and the impact of these collaborative relationships on the understandings and experiences of learners of all ages. Buffy J. Hamilton is the Learning Strategist for the Cleveland Public Library in Cleveland, Ohio. Previously, she was a high school librarian and teacher at The Unquiet Library in Canton, Georgia. She received a Cutting-Edge Service Award from the ALA's Office for Information and Technology Policy. A 2011 Library Journal Mover & Shaker, she was also named one of Tech & Learning's 30 EdTech Leaders of the Future. She blogs at The Unquiet Librarian and ALA Learning.